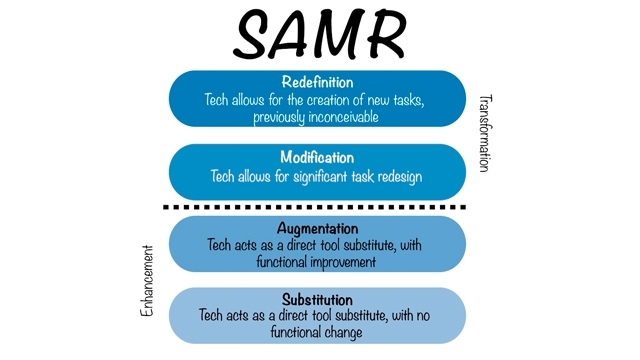 Dr. Ruben Puentedura developed the SAMR model as a way for teachers to evaluate how they are incorporating technology into their instructional practice. You can use SAMR to reflect on how you're integrating technology into your classroom. Is it an act of Substitution? Augmentation? Modification? Or Redefinition?